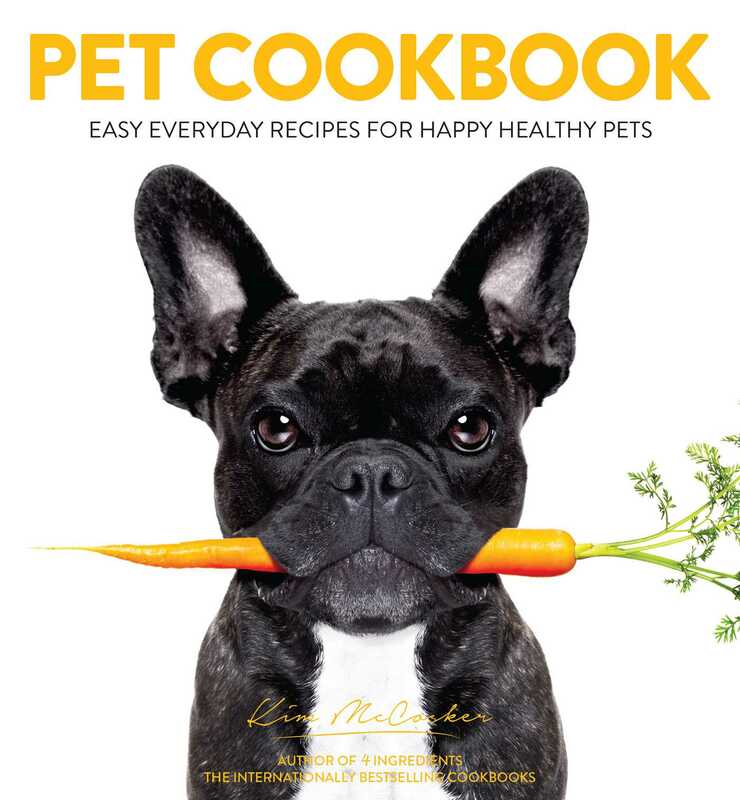 With over 24 million pets throughout Australian homes, PET COOKBOOK has been developed and written by 4 Ingredients best selling author Kim McCosker. Containing recipes that homemade, human grade and allergy aware it will be the EASIEST Pet Cookbook you have ever owned. Not only will you feel better making the food that nourishes your beloved pet, so will your pet. PET COOKBOOK caters for dogs and cats, with recipes and ideas for birds, guinea pigs, fish and chickens as well. Recent statistics from the Australian Veterinary Association showed in 2016, 1 in 20 people own a dog, with 1 in every 25 owning a cat in Australia Pets are a BIG part of Australian homes and a huge part of families. PET COOKBOOK is a nurturing book that is suitable for the entire family to be more widely informed of good habits for pets and become more aware of what they are eating. PET COOKBOOK contains easy homemade meals and treats like Mex 4 Rex, KittyCake and Budgie Bites, are for our pets to love as much as the whole family loves them.With over 24 million pets throughout Australian homes, PET COOKBOOK has been developed and written by 4 Ingredients best selling author Kim McCosker. Containing recipes that homemade, human grade and allergy aware it will be the EASIEST Pet Cookbook you have ever owned. Not only will you feel better making the food that nourishes your beloved pet, so will your pet. PET COOKBOOK caters for dogs and cats, with recipes and ideas for birds, guinea pigs, fish and chickens as well. Recent statistics from the Australian Veterinary Association showed in 2016, 1 in 20 people own a dog, with 1 in every 25 owning a cat in Australia Pets are a BIG part of Australian homes and a huge part of families. PET COOKBOOK is a nurturing book that is suitable for the entire family to be more widely informed of good habits for pets and become more aware of what they are eating. PET COOKBOOK contains easy homemade meals and treats like Mex 4 Rex, KittyCake and Budgie Bites, are for our pets to love as much as the whole family loves them.